Home antibacterial gel Scientists at Queen’s University Belfast have made a breakthrough in the fight against the most resistant hospital superbugs. Scientists at Queen’s University Belfast have made a breakthrough in the fight against the most resistant hospital superbugs. The team from the School of Pharmacy at Queen’s have developed the first innovative antibacterial gel that acts to kill Pseudomonas aeruginosa, staphylococci and E.coli using natural proteins. The gels have the ability to break down the thick jelly-like coating, known as biofilms, which cover bacteria making them highly resistant to current therapies, while leaving healthy cells unaffected. Dr Garry Laverty, from the School of Pharmacy at Queen’s University, and lead researcher, said: “When bacteria attach to surfaces, including medical implants such as hip replacements and catheters, they produce a jelly-like substance called the biofilm. This protective layer is almost impossible for current antibiotics to penetrate through. Therefore bacteria deep within this protective layer are resistant as they remain unexposed to the therapy. They grow and thrive on surfaces to cause infections that are very difficult to treat. The only option is often to remove the medical implant leading to further pain and discomfort for the patient. Our gels would prevent this. “Our gels are unique as they target and kill the most resistant forms of hospital superbugs. August 3, 2018 - Some Bacteria Are Becoming More Resistant to Hand Sanitizers. Here's What We Can Do About It FortuneCertain bacteria are developing more of a tolerance for alcohol-based hand sanitizers. Here's what to know, and what you can do about it. February 25, 2019 - The ingenious new tricks to beat disease BBC NewsTechnology is offering us new ways to tackle some of our oldest foes, writes Adrienne Bernhard. August 1, 2018 - Germs gaining resistance to hand gels in hospitals Medical XpressPotentially dangerous bacteria already resistant to antibiotics are now developing resistance to common alcohol-based hand gels, a new study reports. July 13, 2018 - The Strange and Curious Case of the Deadly Superbug Yeast WIREDA pathogen that resists almost all of the drugs developed to treat or kill it is moving rapidly across the world, and public health experts are stymied how to stop it. December 23, 2018 - Christmas prawn shells helping to fight antibiotic-resistant super bugs, trial shows ABC NewsAs we chow down on prawns, crab and lobster this Christmas, Queensland scientists are waiting in the wings to get their hands on the stinky leftovers. February 20, 2019 - When It's Safe to Use Hand Sanitizer—and When You Absolutely Need to Find Soap and Water Health.comFind out when it's safe to use hand sanitizer this cold and flu season and when you need to wash your hands with soap and water. 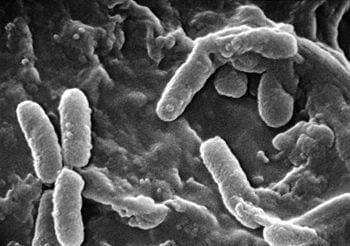 June 17, 2018 - New antibiotic shows long-lasting promise as superbug killer New AtlasA team at Purdue University has found that a compound called F6 is effective at killing bacteria that have already evolved resistance to existing antibiotics. January 10, 2018 - A new gel could help in the fight against deadly, drug-resistant superbugs Science NewsAn antibacterial ointment breaks down the defenses of drug-resistant microbes such as MRSA in lab tests.